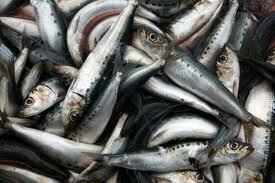 It is the healthy oil extracted from fishes. It is more available in fishes like tuna, mullet, mackerel, salmon, anchovy, sturgeon, bluefish, sardines, menhaden, herring and trout . What does Fish Oil contain ? The important supplement that is available in the fish oil is Omega 3 fatty acids. Approximately 3.5 ounces of fish contains 1 gram Omega 3 fatty acids. What are the benefits of Fish Oil ? There are many fish oil supplements available in the market like in the form of capsules, pills but intake of this healthy component in the natural way can help to get more benefits. You can also get fish oil by eating the fish directly. Omega 3 fatty acid is the vital component in fish oil which is associated with numerous health benefits. 1. Fish oil can reduce swelling and pain. 2. It lowers triglycerides, which is essential to reduce heart health risks . 3. The problems associated with Rheumatoid arthritis like joint pains and other can be kept under control by using fish oil. 4. It can control High blood pressure. 5. Fish oil is considered as one of the healthy component that contribute to weight loss and also lowers the cholesterol. 6. It is also considered healthy food supplement for pregnant women. 7. It is observed that fish oil can improve bone health by increasing its density in people who suffer with osteoporosis. 8. Fish oil also helps in improving skin, hair and brain health. According to experts consuming 3 grams of fish per day is the ideal measurement or is the proper dosage.